Last weekend me and my mum spent the day transforming the house into a festive winter wonderland, fit for any Christmas enthusiast. It's safe to say we may have gone a little overboard with fairy lights, and yet I still want to add more, oops! So, as we were decorating I decided I would snap a few photos of some of my favourite bits in the house for anybody who may be wanting inspiration for decorating their own home or bedroom. It's no surprise to you that I'm a huge lover of Christmas and the general festivity that surrounds it, so to decorate all day filled me with joy; as well as being a lovely way to spend time with my mum. 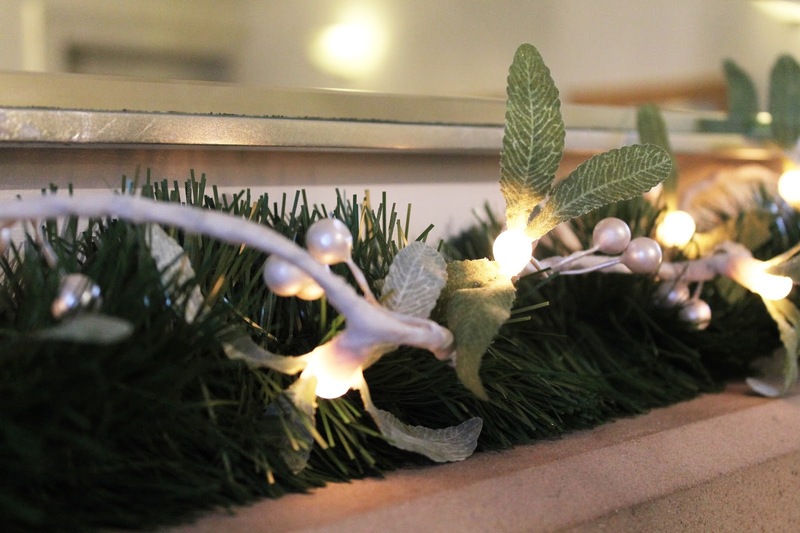 She let me have my run of the house for the first time pretty much ever, the lounge decor was all up to me and I couldn't help but use these beautiful mistletoe lights above the fireplace. 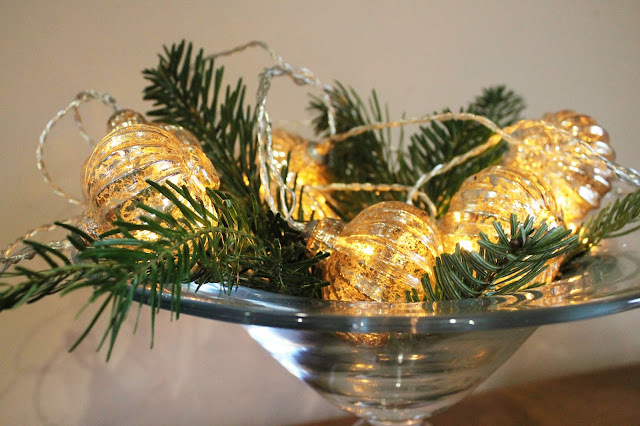 Combined with a length of green tinsel, it made the loveliest centerpiece. Similarly to the second photo where I again combined lighting with greenery, I tried to continue on with the natural, woodsy theme that we'd apparently been going for. 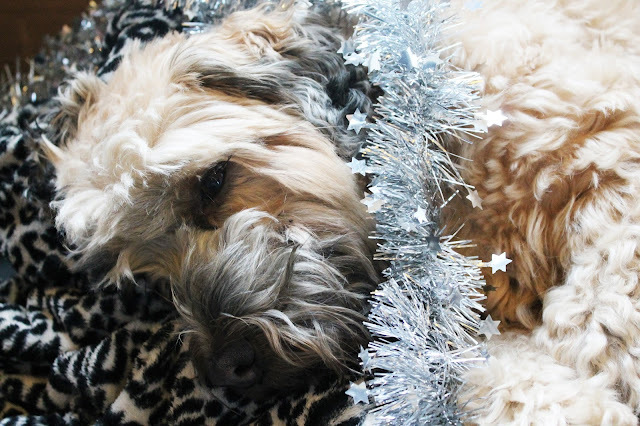 I obviously couldn't forget about my dog, I draped her in tinsel and she just looked so cute! I only wish I'd taken more photos of different pieces that I've picked up since last week, so an updated post may be on its way! 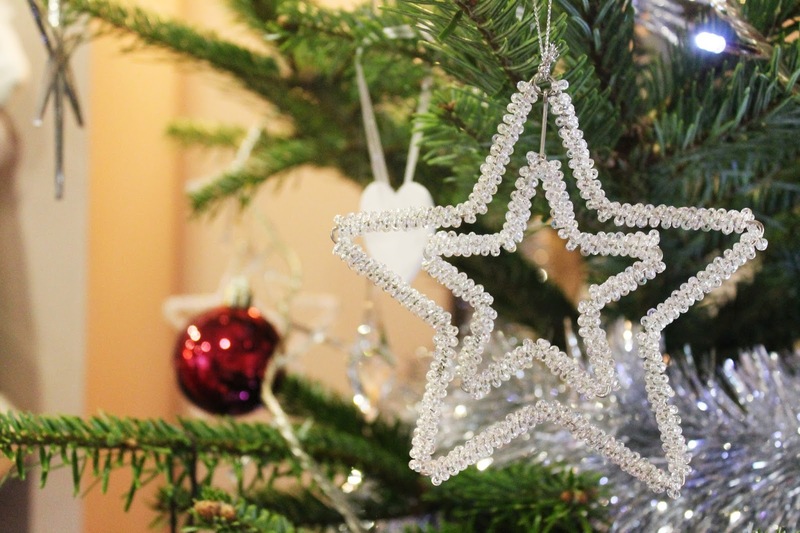 What are your favourite ways to decorate at Christmas? I love love love the lighting and greenery in the glass bowl, it looks gorgeous! And your dog is just too cute. Thank you my love. She's my fave! Awh I love everything you guys did! It looks so warm and festive, and your dog is just the cutest. Mine would probably hate it if we did that haha! Thank you so much! She was asleep when I put the tinsel on so I don't think she realised haha! You can never have too many fairy lights! Always in need of more.. Your photos are lovely, it looks so festive! Your dog is adorable too. festive decor is just my favorite. december just hasn't enough days for all the decor i want to put up. I feel you, we need more days in the month! It's never too late for festivity! Love your decoration. And the last picture, awwww so cute!! She's so cute right! Thank you lovely. Lovely decorations! I wish mine looked half beautiful as yours! I bet they do! Thank you lovely. I'll definitely be having a look! Thank you, I love them too. Ahh, love this! I'm taking down my decs this weekend and the thought of it makes me want to cryyyy! I know what you mean though, I did a post on my decs and within a week I'd already bought loads more stuff!